User-Generated Content is Transforming B2C Marketing—Are You Ready? 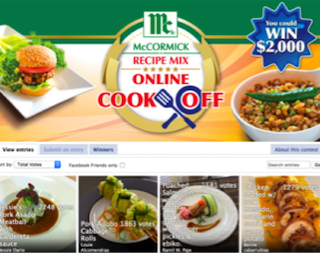 User-generated content (UGC) has emerged as the new ‘must have’ marketing strategy. And for good reason: It improves performance on every digital marketing channel. What marketer wouldn’t want benefits like these? Visitors to websites that include UGC galleries spend 90% more time on the site, social campaigns that incorporate UGC see a 50% lift in engagement, ads with UGC generate 5-times greater click-through rates, UGC drives a 73% increase in email click-through rates, and UGC increases conversions by 10% when included in the online purchase path. Before we dive into why UGC is so effective, let’s define what it is. As the name suggests, it’s a content strategy that encourages consumers to share their experiences with a brand, which in turn shares the experiences with other consumers through digital channels. Content can be in just about any format, though pictures, videos, text and memes are most common. A few UGC examples we’re all familiar with: Coca-Cola’s’s Share a Coke campaign that encourages consumers to post pictures with their personalized bottles, Dorito’s Super Bowl ad contest that awards $1 million to the best submission, or Starbuck’s White Cup campaign that asked consumers to share their cup doodles for a chance to have it chosen for a limited edition run. But don’t think that UGC is just for the big brands. According to the Content Marketing Institute, 86% of businesses now use content marketing, and 78% of B2C companies incorporated UGC in 2015. Why is User-Generated Content Popular? You know the story line: Consumers are in the driver’s seat—they choose when, where and how brands can communicate with them. With more and more content being produced for consumption in a cross channel, social and mobile world, it must be extremely relevant (and a measure of fun doesn’t hurt). As evidenced by the success of UGC, there’s another key element consumers prize—authenticity. No offense, but consumers trust content produced by their peers far more than what is created by marketers, and they reward brands that deliver UGC with engagement. 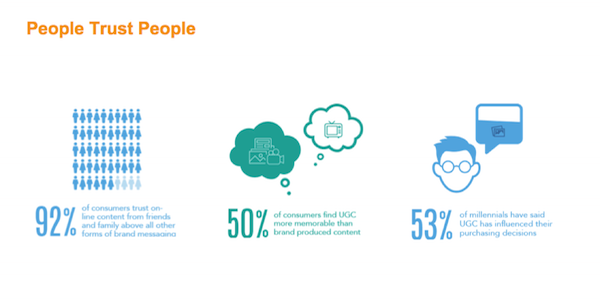 Consider that 92% of consumers trust online content from friends and family above all other forms of brand messages, 50% of consumers find UGC more memorable than brand-produced content, and 53% of millennials say that UGC has influenced their purchasing decisions. How Can Brands Leverage User-Generated Content? The best examples of brands that successfully leverage UGC are those that view their customers as communications partners. They’re comfortable with entrusting loyalists with their storyline, and recognize the rewards far outweigh the risks. L’Oreal is a Great Example. 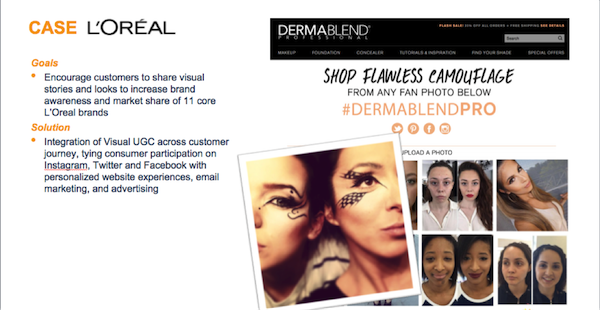 Their #DermaBlendPro campaign encouraged customers to share their make-up inspired transformations. Thousands submitted photos and videos, and the submissions quickly became a key component of L’Oreal’s brand story. The campaign drove trust and advocacy, and helped to achieve specific KPIs around email acquisition, social followers and web traffic. 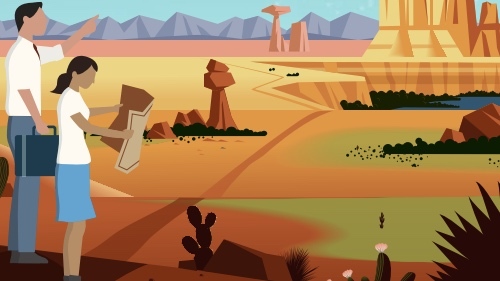 “With the right tools and strategy, just about any brand can reap the rewards of UGC,” says Jeff Soriano, Sr. Director of Demand Generation at Offerpop. “The combination of Offerpop’s UGC marketing platform and Marketing Cloud enables marketers to incorporate UGC throughout the customer journey. 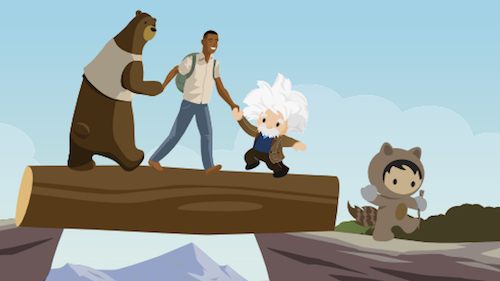 Whether it’s an awareness campaign on social, acquisition strategy with email or advertising, or conversion tactic on the web, our partnership equips brands to deliver authentic cross-channel experiences that drive engagement,” he explains. The key, according to Jeff, is to rethink the role of promotions, campaigns, and commerce. He points to companies like McCormick, which leveraged user-submitted photos of recipes rather than traditional push marketing, and People Magazine, which recently enabled consumers to upload and share their photos on the cover of their Sexiest Man Alive issue. The benefits of UGC are clear—customers love it, and it can have an incredible impact on key marketing metrics. Now is the time to incorporate into your strategy. To discover how, view this pre-recorded webinar: How to Increase Consumer Engagement with User-Generated Content. You’ll learn more tips and tricks for using UGC to drive cross-channel performance.